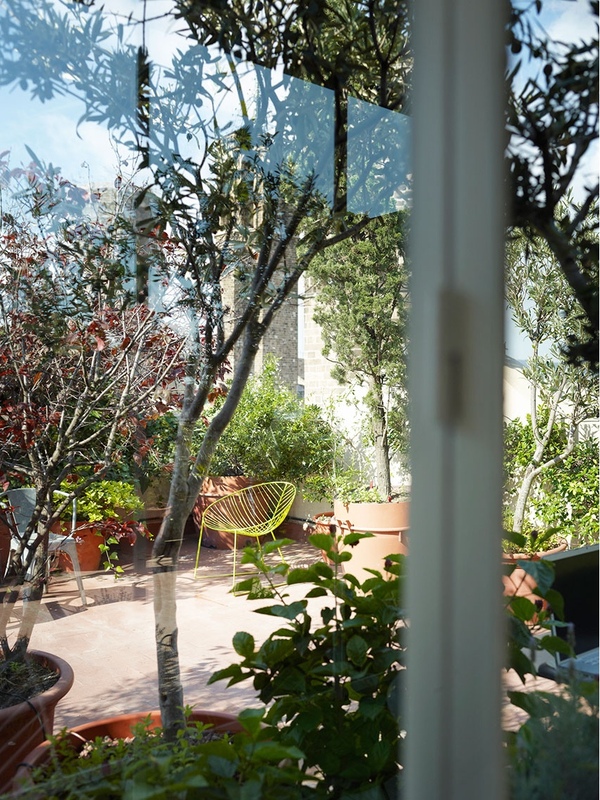 In the northern hemisphere, many of us will find ourselves in the thick of summer. 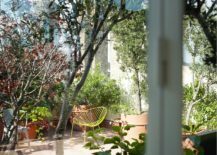 If you’re lucky enough to have an outdoor space, you might be thinking about the tools you’ve chosen to surround yourself with. 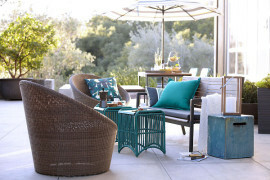 Perhaps you want to update a chair or table, invest in a day bed or even a bird table. If so, here are a few select ideas. 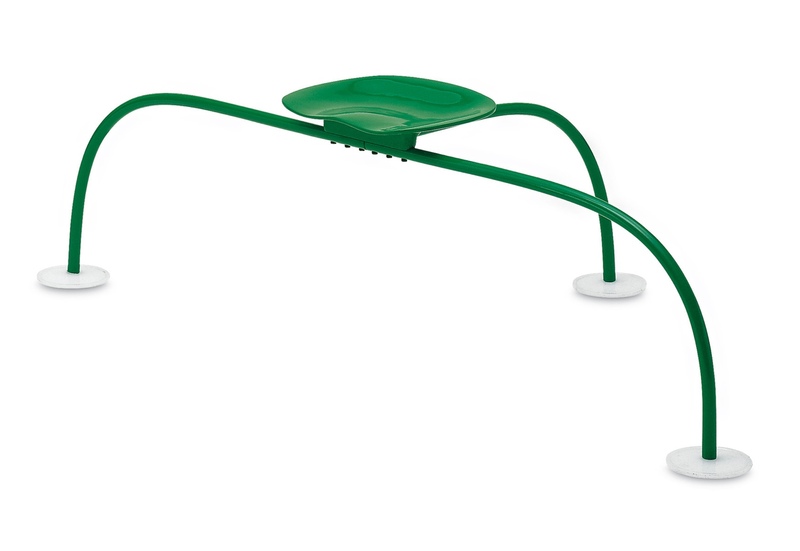 This bird table was originally designed in 1991 by Jasper Morrison for visionary Italian design brand Magis (although the actual design was not produced until 2001). The table’s two discs are made with standard injection-moulded polypropylene: the top disc will keep those little birdies dry, while the bottom disc provides space for food and a good chow down. With its stainless steel hanger, this attractive bird table will dangle with aplomb. It’s perfect for those with a penchant for smart functional objects. 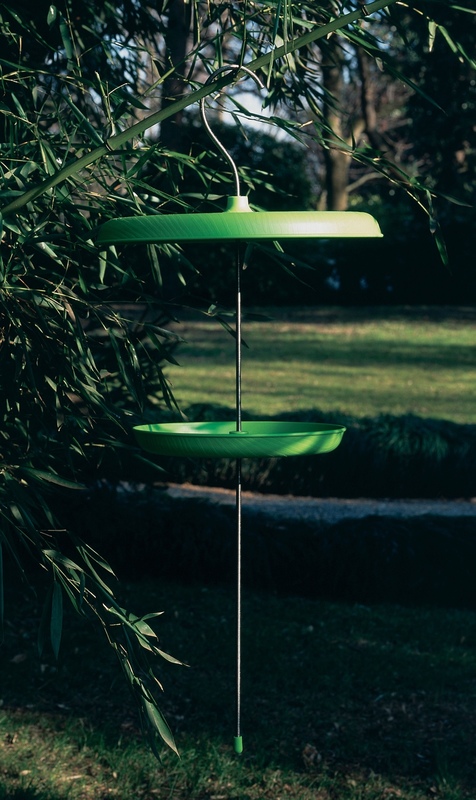 Bird table by Jasper Morrison for Magis. Image via Made in design. 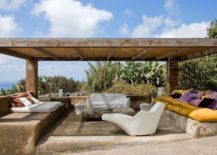 Vivacious, big, often brazen and certainly ambitious, Dutch lifestyle brand Fatboy is refreshingly idiosyncratic. Fatboy’s (hollow) Concrete Seat is produced with linear low-density polyethylene and made sturdy when filled with sand or water. 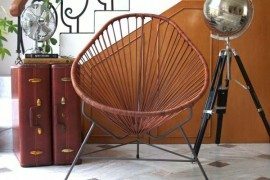 Use it as a seat or table and pimp it up with a rocking pillow. 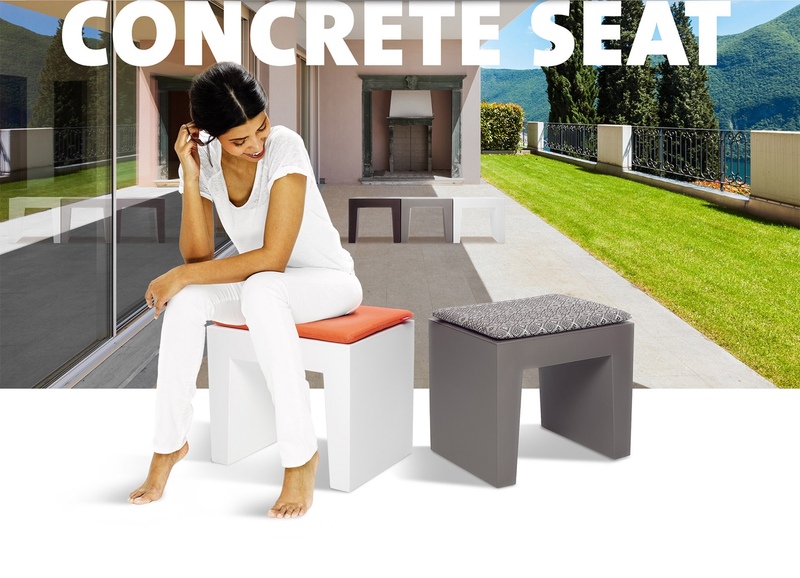 Concrete Seat by Fatboy. Image © Fatboy. 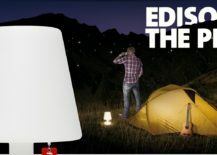 Fatboy’s Edison The Petit is a rechargeable mobile nightlight that’s ideal for an outdoor soirée. Lighting up from head to toe, Edison The Petit is brilliantly bright and comes without fuss or excessive ornamentation. This little light can be customised with one of a series of Cooper Cappies. Fatboy’s Edison The Petit. Image © Fatboy. 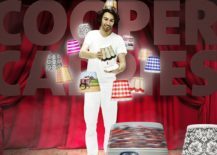 Fatboy’s Cooper Cappies. Image © Fatboy. The quirky and classic Allunaggio Stool was designed by brothers Achille and Pier Giacomo Castiglione in 1965. This seat celebrates the exploration of the moon by means of probes. 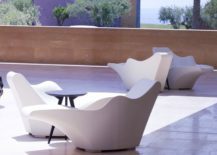 Allunaggio, meaning “moon landing”, is manufactured by Zanotta, a leading Italian industrial design company. 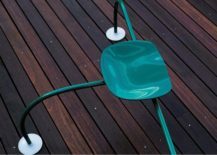 The stool is made up of steel legs, a grass green-painted aluminium alloy seat and natural polyethylene feet. Allunaggio Stool from Zanotta. 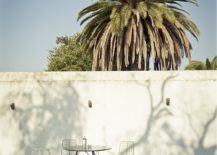 Image via Stylepark. 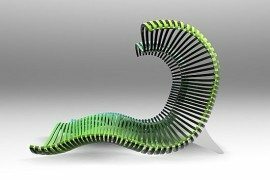 Designed by Zaha Hadid for Italian company Serralunga, the Flow planter is amorphous, its flowing shape created with the use of CAD. Made using rotational moulding, this planter is more of a sculptural masterpiece than a mere receptacle for plants. 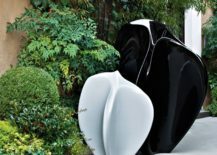 Serralunga Flow by Zaha Hadid in white and black. 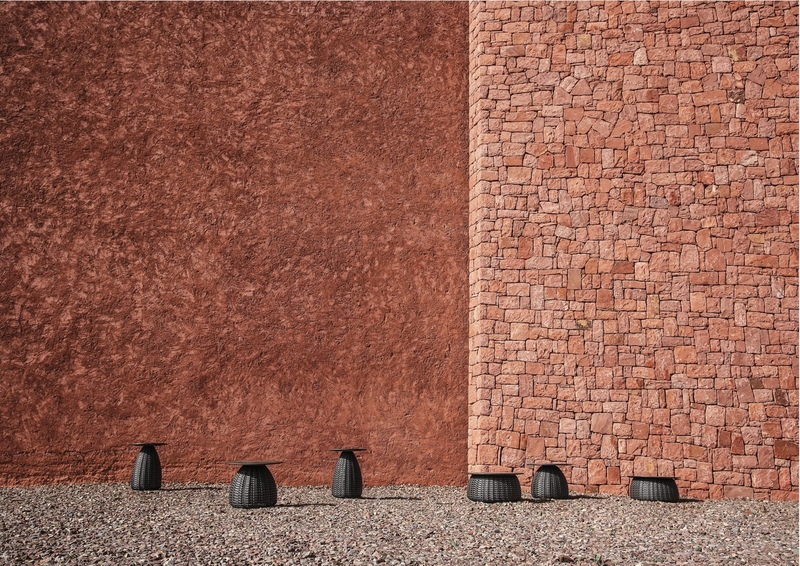 Image © Serralunga s.r.l. 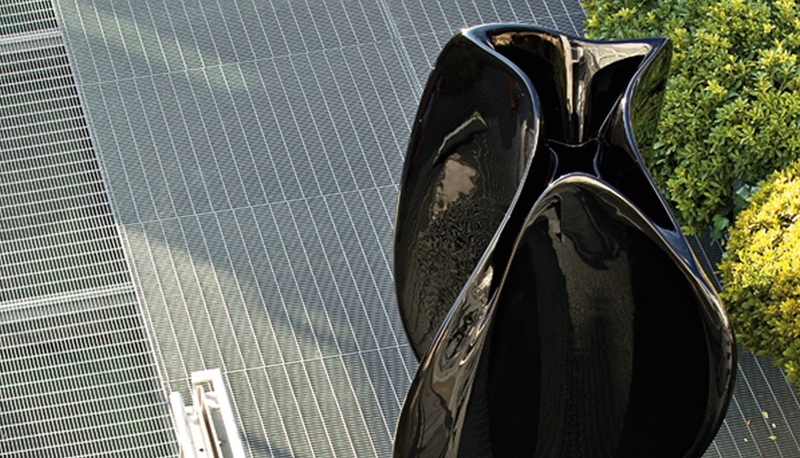 Serralunga Flow by Zaha Hadid in black. Image © Serralunga s.r.l. 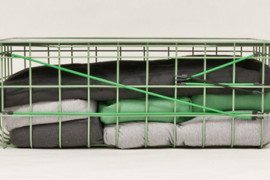 German manufacturer DEDON creates high-end woven furniture using an advanced synthetic fibre. The fibre was developed by Bobby Dekeyser, a former goalkeeper for Bayern Munich. 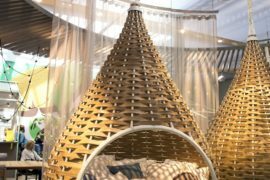 Dekeyser founded DEDON in 1990 and the brand’s products are made in the Philippines, a country renowned for its skilled weavers. 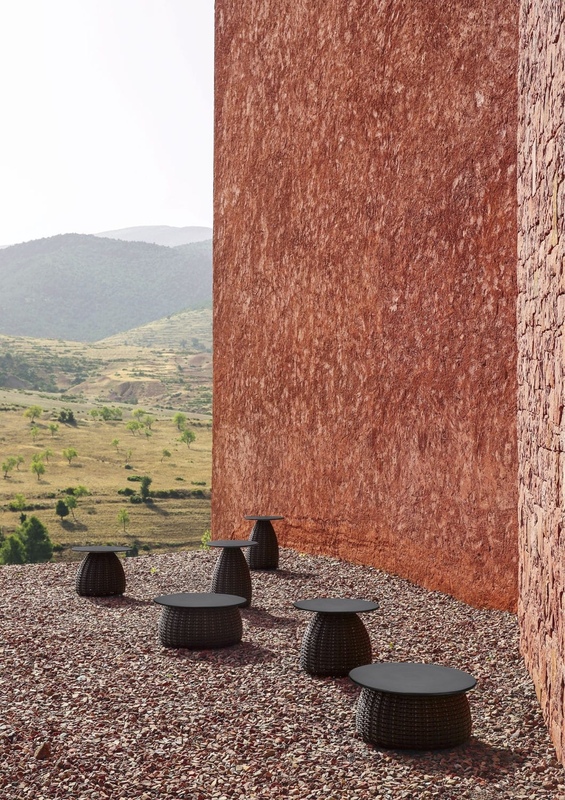 PORCINI by Italian designer Lorenza Bozzoli is a collection of handsome side tables named after the famous Italian mushroom. Available in a mix of shapes and sizes, the PORCINI side table has a ceramic top which opens, allowing its woven base to serve as a handy basket. PORCINI by Italian designer Lorenza Bozzoli for DEDON. Image via ArchiExpo. This fun and inexpensive outdoor chair was designed in 2004 by Jerszy Seymour for Magis. 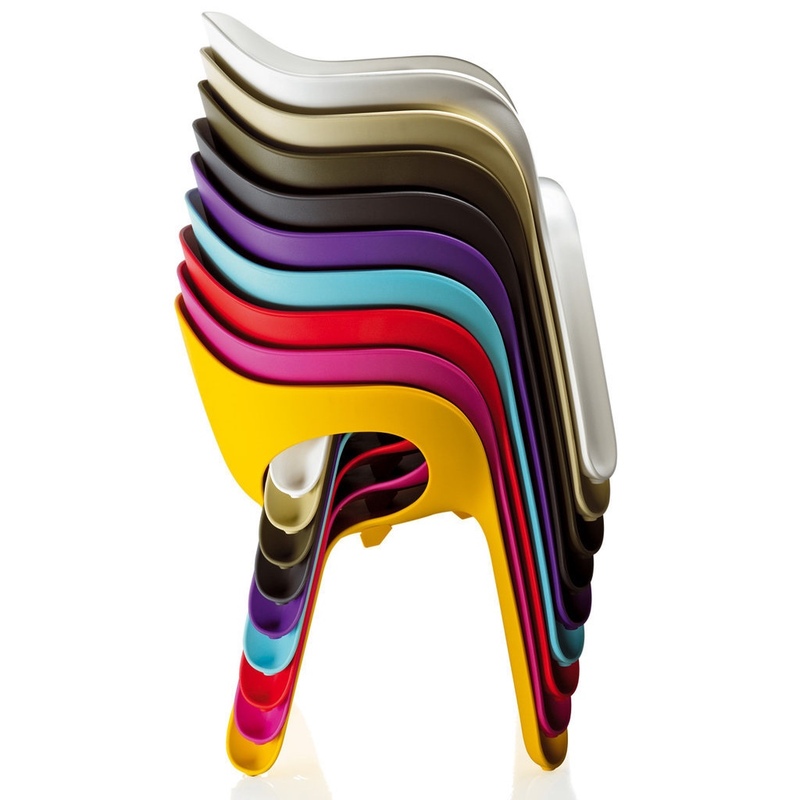 Injection-moulded and glass-fibre reinforced, the easy chair is available in nine hues. 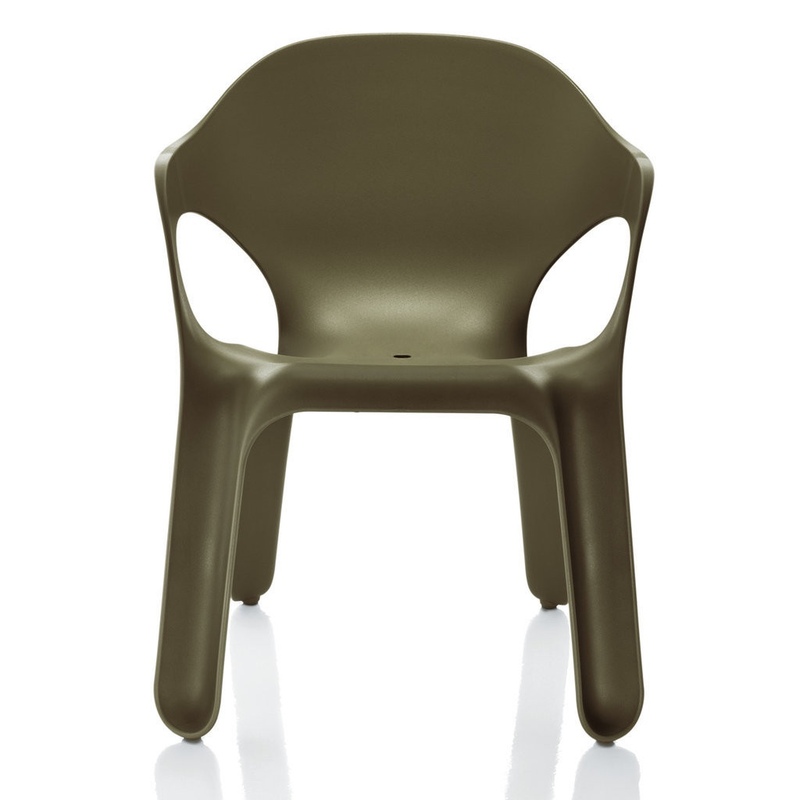 Easy Chair in olive green. Image © Magis Spa. 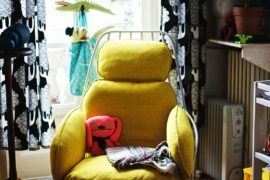 The Easy Chair is available in nine colours. Image © Magis Spa. 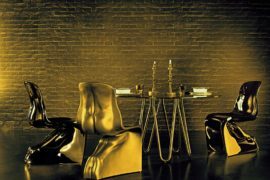 The Tokyo-Pop chaise longue was designed in 2003 by celebrated contemporary designer Tokujin Yoshioka for Driade, the Italian “aesthetic lab”. 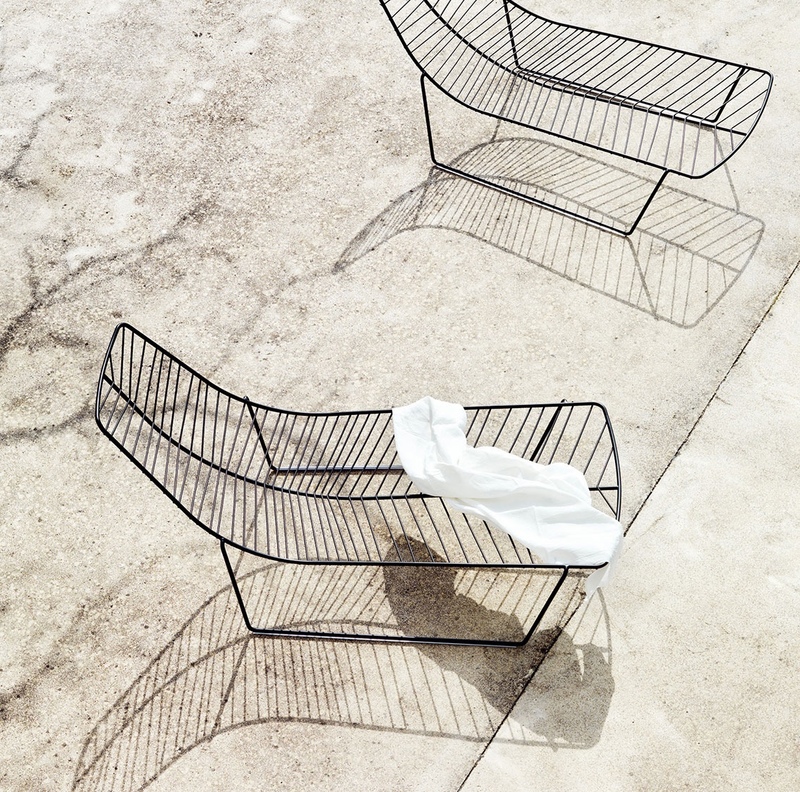 An anthracite polyethylene monobloc, the Tokyo-Pop chaise is a striking piece, certain to turn heads. Simply recline and strike a pose. Tokyo-Pop chaise longue by Tokujin Yoshioka. Image courtesy of Driade. 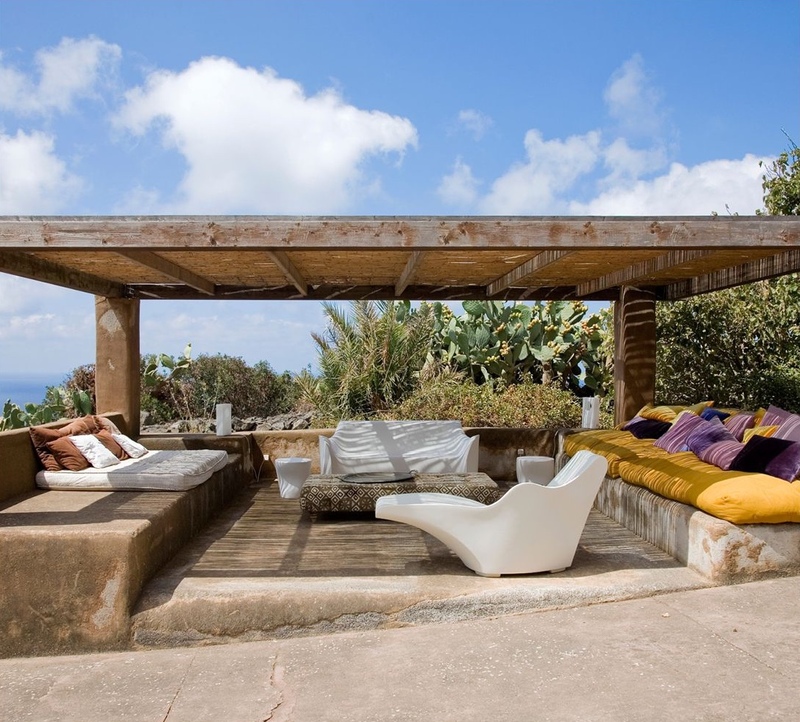 The outdoor Gio chair was designed by Italian architect and designer Antonio Citterio for B&B Italia. Part of the wider Gio collection, this contemporary chair has a classic profile. 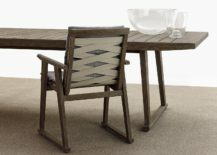 The frame is made from solid teak, imparting a sense of luxury and a timeless quality. 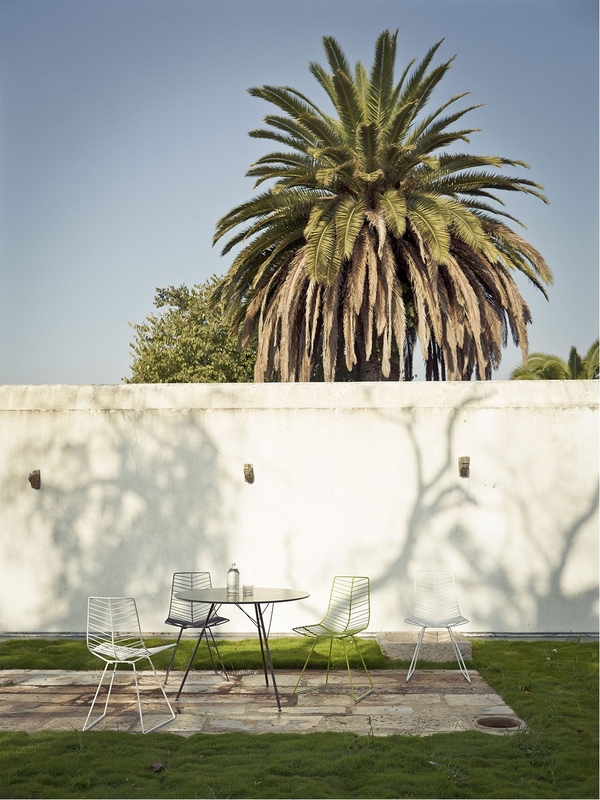 Gio chair by Antonio Citterio for B&B Italia. 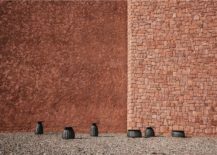 Image © 2016 B&B Italia SPA. 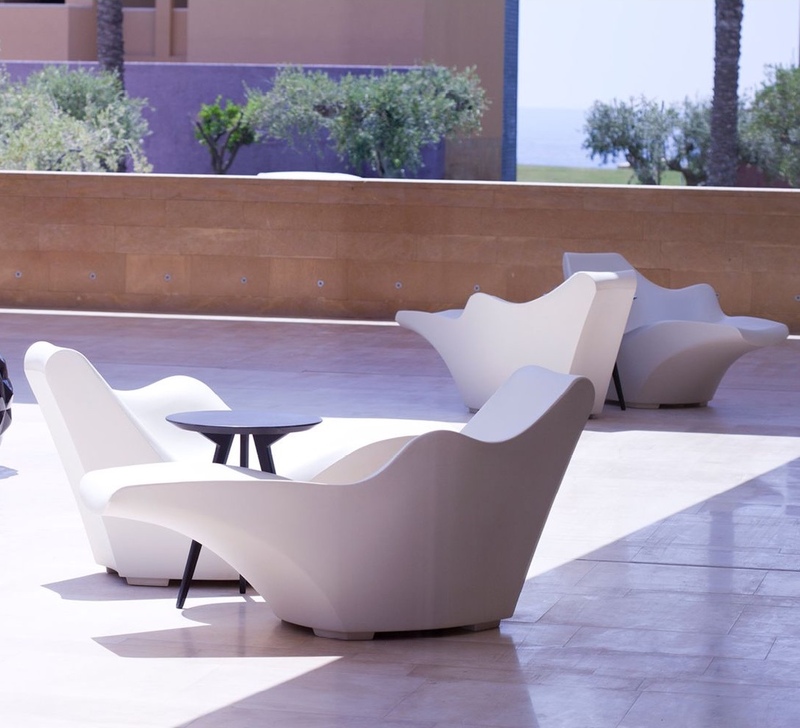 Leaf is an outdoor furniture collection inspired by nature and more specifically the veining of leaves. 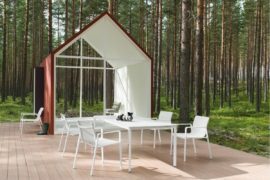 Designed in 2005 by Spanish studio Lievore Altherr Molina for Arper, the Leaf collection’s chairs and day bed are made using painted steel rod. 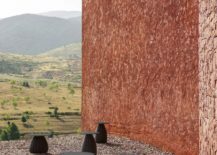 Simple, beautiful and functional, the collection is certain to kindle creativity and relaxation in the most aesthetically pleasing outdoor setting. Leaf day bed. Image courtesy of Lievore Altherr Molina. 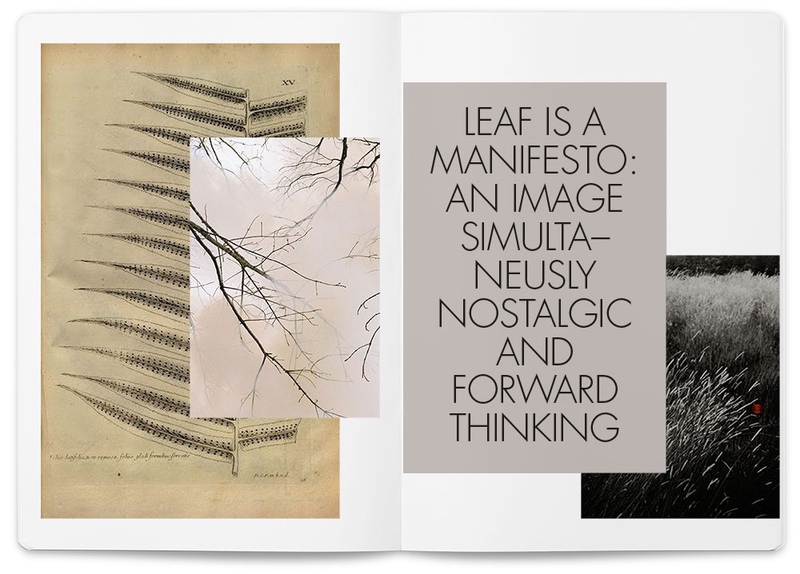 Leaf manifesto. Image courtesy of Lievore Altherr Molina. 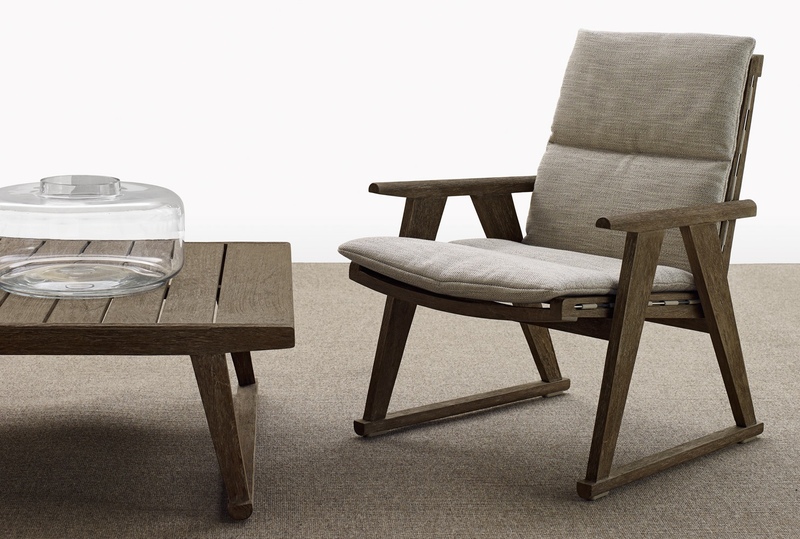 Leaf sled lounge chair. Image courtesy of Lievore Altherr Molina. 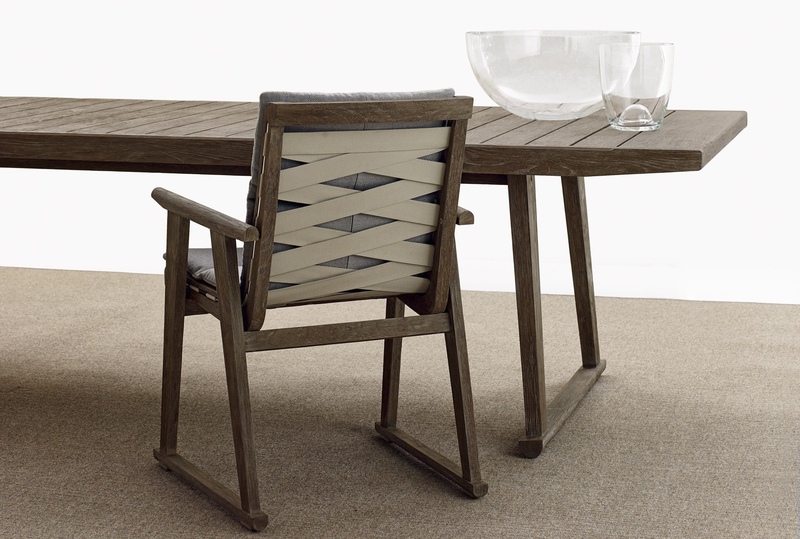 Leaf sled chairs and Leaf H 74 table. Image courtesy of Lievore Altherr Molina.